One of the things I love most about this blog is the opportunity to meet new authors and artists – to discover new music and literature I might not otherwise be exposed to. A few months ago I was contacted by Deer Park Avenue, asking if I would review their debut E.P. 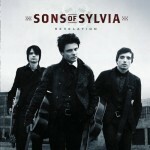 Not knowing much about them, I went over to their website and quickly previewed their music. It didn’t grab me right away – but there was something there that stuck with me. It kept tickling the back of my mind, like that person’s name you just can’t remember, but keep coming back to over and over again. There was something in the music demanding to be listened to again. So, I wrote the girls back and agreed to review the E.P. They sent me the tracks, I added them to my iPhone, and started listening. I’m glad I did. Deer Park Avenue was created by Sarah and Stephanie Snyder. 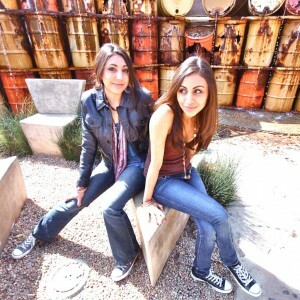 The two sisters have been playing music together since their cousin, Gregg Bissonette, taught them “Eight Days A Week”. (If you are a rock fan like me and Greg’s name rings a bell – you will recall him fondly from his drum work on David Lee Roth’s “Eat’em and Smile” and “Skyscraper”.) 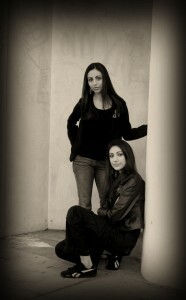 Having lived in California, New York, and France, the sisters currently call Switzerland home. It was there they went from performing covers with their band The Bandits to writing and producing their first E.P. as Deer Park Avenue– “City Streets”. As I mentioned, when I first heard these songs, they didn’t grab me right away. They did, however, plant a more insidious seed in my mind – I found myself coming back to listen to the tracks more and more often. For me sometimes, I can have a brief yet passionate affair with a new album. I’ll listen to little else for a week or two then, my ear satiated, I’ll move on to something different. With “City Streets”, I started out slower and built my appreciation of the music over the space of a few months. I marinated in them, if you will, and have enjoyed them all the more for it. At only four tracks, “City Streets” is a quick listen, but Sarah and Stephanie pack a lot into those 17 ½ minutes. This song starts out with a pulsing guitar line, deliciously fat and warm in it’s sound. As it builds through the first verse to the chorus, you’re pulled along at a deceptively breakneck pace. I found myself thinking of Murray Attaway’s “In Thrall” album while listening for some reason. (I can’t put my finger on exactly what elicited the response, but it is, nonetheless, a compliment.) It’s a beautifully constructed song – lush and inviting – but also flavored with a healthy pinch of punk attitude as it’s base. Think Sixpence None the Richer meets Green Day – in some strange and wonderful universe. “Over Again” is an infectious start to the E.P. – one that should hook listeners, propelling them through the rest of the tracks. Stephanie opens this song with a driving pace that carries its energy through from the first note to the last. Sarah’s voice has just enough edge on this track to pierce through the background and add a subtle, but necessary, hint of aggression to the final mix. The guitar work in the bridge lays out a bit of a “Friends” vibe – a nice counterpoint to the urgent nature of the song. The girls have very good sense of the balance needed to deliver both the urgency and the melodic sensibility needed to make a song like this a success. Sarah opens with a haunting guitar track that perfectly compliments the vulnerability of her voice. When Stephanie brings the drums in to anchor the song, it takes a pleasing turn into pop/rock territory, settling into the pocket quickly and delivering an undeniably comfortable groove. There’s no question this song would be at home delivering a montage moment on the Television show of your choice. What I would really like to hear is a stripped down acoustic version – just acoustic guitar, small drum kit, vocals, and perhaps a shaker or tambourine. 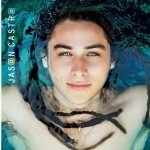 “Rescue Me” is by far my favorite song on the EP. If “Rescue Me” is my favorite song on the EP, “You Live” is my least favorite. I like the concept of it more than the execution. The opening riff promises big things, but the first verse itself is stripped a little too bare. 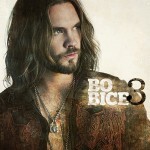 The guitar is too late coming to the party, and overall I wanted a far larger sound – the sound you find in the chorus. Still – least favorite is a relative statement here, as the song is still solid. Sarah shows some surprising power at the very end of the song – something I wouldn’t mind hearing more of in the future. 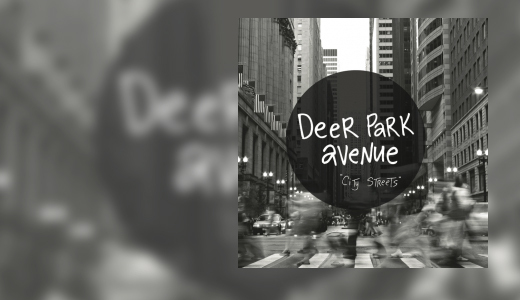 “City Streets” is a strong debut from Deer Park Avenue. It’s a well crafted and produced collection of songs that show the promise of what Sarah and Stephanie should do in the future. The girls have a good feel for the melodic hybrid of pop and punk that lends itself to commercial success (as opposed to the more pure, but often more niche world of straight punk). The more I have listened, the more I have enjoyed the music of Deer Park Avenue. They are currently at work on a full-length album – I can’t wait to hear what they have in store next. For now – count me as a fan. Just wanted to thank you for taking the time to review Deer Park Avenue’s EP! I am one of their biggest fans and I have such respect for both of Sarah and Stephanie, as they are not only talented but SO real. Their music has an edge to it, but the bonus is that it can also be listened to by all audiences. And yes, “Rescue Me” is my favorite too! Did you know they also perform in German; not that I understand a word they are saying, but they grab you with the music and place a nice tone in the language you often miss if just hearing a conversation in German. Thanks Again!